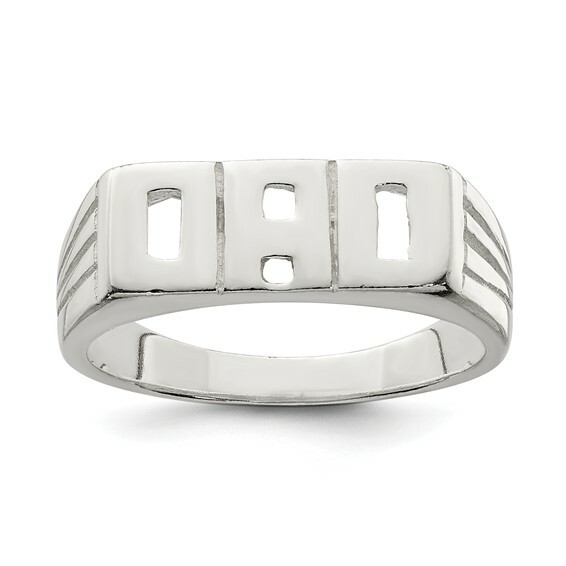 This DAD ring is made of polished sterling silver. Top width: 7mm. Standard fit. Weight: 5.59 grams. Import.